The Lahore School of Economics (established 1993) is one of Pakistan's leading centres of learning for teaching and research in economics, finance and business administration. 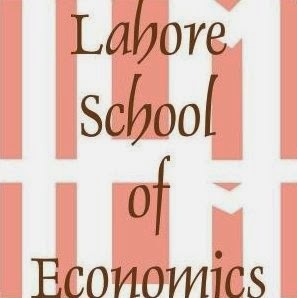 The Lahore School of Economics' objectives include: (i) The training of young Pakistanis as professional economists, finance managers, accountants, financial analysts, bankers and business executives, and (ii) Undertaking research in economics, management, finance and banking to further deepen the understanding of major economic facts, issues and policies. The Lahore School was granted a Charter in January, 1997 by an Act of the Provincial Assembly of the Punjab: The Lahore School of Economics Act 1997 (Act II of 1997). 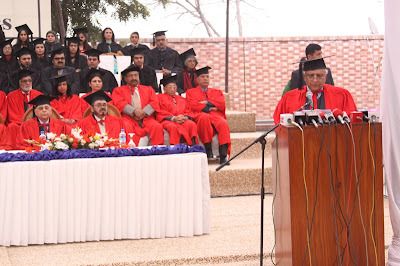 The Charter vests the powers of an independent degree granting institution to The Lahore School. The Lahore School has both undergraduate and graduate programs in economics, business administration and finance. Its postgraduate program leading to the MPhil and PhD degree is administered through the Lahore School's Centre for Research in Economics and Business (CREB). The student body and faculty are both national and international. This blog covers learning, teaching, research and extra curricular activities in the Lahore School.